2014 Miss America Nina Davuluri. Miss New York Nina Davuluri is the new 2014 Miss America. Davuluri was chosen last night after a week of competition in Atlantic City, New Jersey. During the judge Q&A, Davuluri discussed the topic of plastic surgery after CBS on-air personality Julie Chen revealed she had a procedure due to demands from her then-employer to look less asian. But Davuluri is already winning over the public, whether its Glamour’s five reasons or the reaction from social media during her coronation. Heading back to Atlantic City worked out well for Miss America with a massive ratings boost bringing back numbers not seen since 2004. Davuluri will celebrate today with a dip in the Atlantic and then her newfound Miss America duties. Sam Haskell, Chairman and CEO of the Miss America Organization, annnounced that on September 15th the 93rd Annual Miss America pageant on ABC-TV would present a STEM (Science, Technology, Engineering and Math) Scholarship to one of the 53 contestants. As the historic event returns to Atlantic City, New Jersey in three months, Haskell spoke along with the current Miss America–and Miss New York–Mallory Hagan about the importance of education and funding for those that need it. 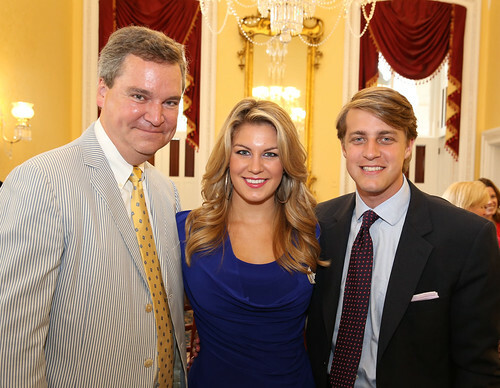 In a packed room at the Capitol Building, Miss America Mallory Hagan, applauded the decision telling her story of a lack of resources and emphasis on STEM when she was growing up. Tammy Haddad, White House Correspondents Insider founder and editor-in-chief, was named President of the Miss America Foundation Development to engage a larger audience in the scholarship opportunities with the Miss America programs. Senator Roger Wicker and Rep. Alan Nunnelee shook hands with guests and took pictures with Miss America. Former Miss America Judge Greta Van Susteren and husband John Coale, joined House top aides Doug Heye and Michael Steel, DCI Group’s Tom Synhorst and Dan Meyers, AHA’s Robyn Bash, and Miss America board member Regina Hopper. Longtime women’s advocate Anita McBride and Josh Randle from the Duke of Edinburgh Award as well as Third Way educational staff also were in attendance.